When should the metal clips be replaced on a brompton folder? I have a brompton which is about 7 years old. Do I need to think about replacing the aluminium clips that lock the frame in place when unfolded? SECTION K: ROUTINE REPLACEMENTS. Planned replacement is advised to ensure both safety and good performance. The suggested intervals between replacements are for bicycles subjected to normal use: the most appropriate timing depends on the conditions of use and your riding style. ALUMINIUM COMPONENTS: as on other lightweight machines, aluminium alloy is used in the construction of the Brompton, and this material has a finite life before failure. In normal use, the risk of aluminium fatigue failure is remote, even after many thousands of miles. 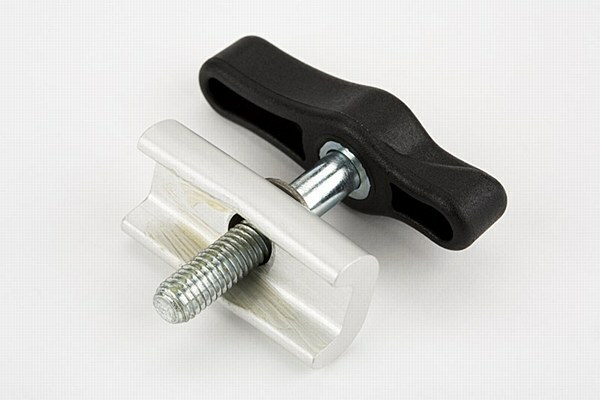 However, the risk of failure increases with use, especially with hard riding or other severe loading: as such a failure could cause injury, the hinge clamp plates, handlebar and chainset should for safety be replaced every 5,000 miles (more frequently on any machine subjected to hard use), and we recommend that these items are anyway checked regularly. As the manual itself notes, that is an extremely conservative number, but considering the hinge plate itself is a £4.00 part it seems better to err on the side of caution. Aluminum in general has a useful fatigue life of about 5 years. Which is why most manufacturers have started limiting frame warranties to 5 years. Fatigue Life data for 6061 alloy here. If your folder has been ridden regularly over the 7 years you've owned it, then consider replacing them. If it's been lightly used, or mostly garaged, then you're are probably ok. There is no way to check the soundness of the metal short of an ultrasound or possibly X-ray testing. So if you are concerned, which I gather from the fact that you asked the question that you are, then just change them. it will be worth the piece of mind. Not the answer you're looking for? Browse other questions tagged maintenance folding-bicycle brompton or ask your own question. Brompton: where to find the higher supply of second-hand bikes in UK, or anywhere in Europe? How to safely transport a Brompton by air? When should a disc brake be replaced? How do airlines calculate the cost of a Brompton?